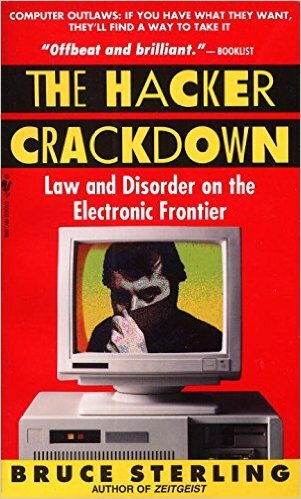 A classic work highlights the 1990 assault on hackers, on the arrest of suspected illicit hackers and other computer-based law-breakers. Bruce Sterling's classic work highlights the 1990 assault on hackers, when law-enforcement officials successfully arrested scores of suspected illicit hackers and other computer-based law-breakers. These raids became symbolic of the debate between fighting serious computer crime and protecting civil liberties. However, The Hacker Crackdown is about far more than a series of police sting operations. It's a lively tour of three cyberspace subcultures--the hacker underworld, the realm of the cybercops, and the idealistic culture of the cybercivil libertarians. Sterling begins his story at the birth of cyberspace: the invention of the telephone. We meet the first hackers--teenage boys hired as telephone operators--who used their technical mastery, low threshold for boredom, and love of pranks to wreak havoc across the phone lines. From phone-related hi-jinks, Sterling takes us into the broader world of hacking and introduces many of the culprits--some who are fighting for a cause, some who are in it for kicks, and some who are traditional criminals after a fast buck. Sterling then details the triumphs and frustrations of the people forced to deal with the illicit hackers and tells how they developed their own subculture as cybercops. Sterling raises the ethical and legal issues of online law enforcement by questioning what rights are given to suspects and to those who have private e-mail stored on suspects' computers. Additionally, Sterling shows how the online civil liberties movement rose from seemingly unlikely places, such as the counterculture surrounding the Grateful Dead. The Hacker Crackdown informs you of the issues surrounding computer crime and the people on all sides of those issues. :) "... it suceeds in giving an unbiased portrayal of hacker culture and a critical look at Federal government investigations into hacking."